Crehana, a latin american educational portal, invited me to record a course called Advanced digital Retouching for Advertising. It's a course with 8+ hours of content (in spanish), where I explain the creative process behind image creation, advenced techniquies for compositing several source images, moodboard creation and photo-compositing step-by-step. 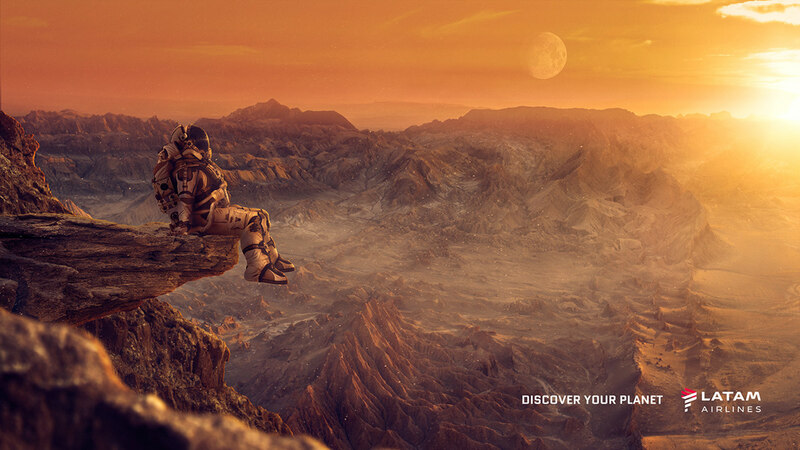 I developed 2 images for a fictional campaign for Latam Airlines, with the concept "Discover Your Planet". You can see them below. 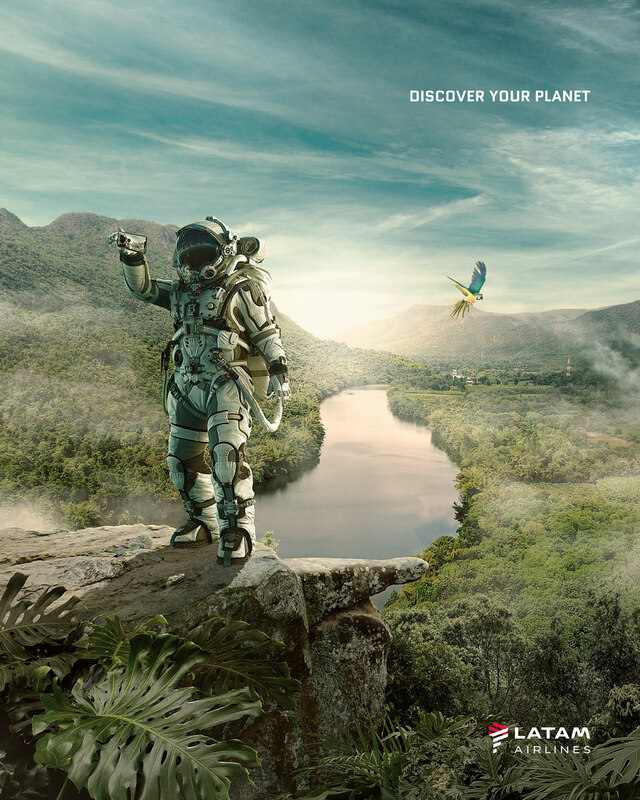 Crehana, un portal educativo latinoamericano, me invitó a grabar con ellos un curso de Photoshop, llamado Retoque Digital Publicitario Avanzado. El resultado, es un curso de más de 8 horas donde explico el proceso creativo detrás de la creación de una imagen, técnicas para levantar referencias, crear un moodboard, bocetar y realizar una foto composición hecha de varias imágenes diferentes. 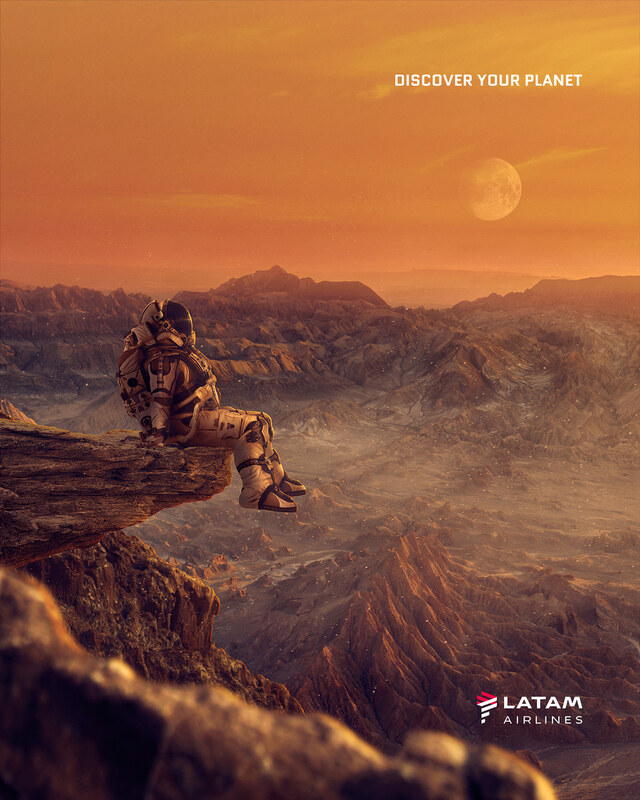 Desarrollé dos imágenes para una campaña ficticia de Latam Airlines, bajo el concepto Descubre Tu Planeta, que pueden ver a continuación. If you are interested in learning the workflow and techniques to create these images, or any image you want, you can enroll the course clicking HERE. Si les interesa aprender el proceso de trabajo y técnicas para crear estas imágenes, o cualquier imagen que quieran, pueden inscribirse en el curso haciendo clic AQUÍ. Gracias por la experiencia, Crehana! 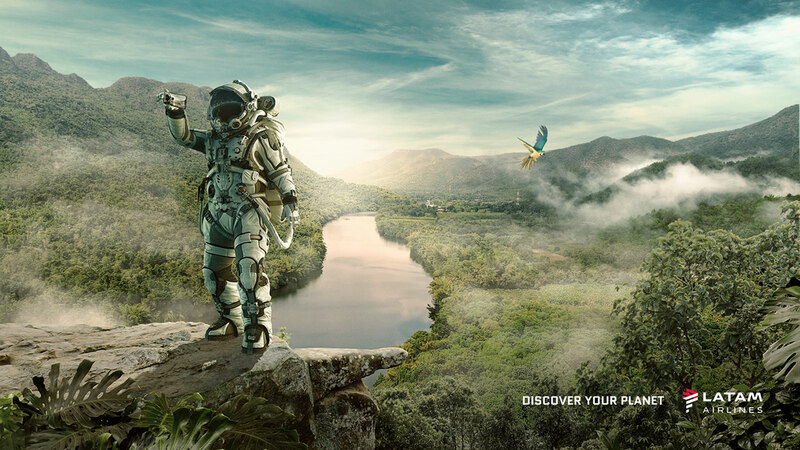 Discover Your Planet is the theme and concept I chose to create two images for the online course Advanced Digital Retouching for Crehana, a latin-american educational portal.